In both his personal and professional life, Andreasen consistently focuses on driving operational excellence in himself and others. To him, the concept of operational excellence consists of “the values, processes, actions, and daily habits that form a foundation on which strong performance can be built and goals can be achieved.” There are many different activities that can contribute to operational excellence. While exciting, high-visibility activities can attract the most attention, Andreasen is quick to point out the importance of the more mundane, “blocking and tackling” type of actions that are important pieces of the overall puzzle. In his approach to operational excellence, Andreasen is most concerned with fostering beneficial basic habits and best practices in his staff and colleagues; once that is achieved, the rest can easily fall into place. With a strong foundation of operational excellence, “time is not wasted floundering around with unimportant details and unproductive actions that are not directly focused on the primary goal, which ultimately leads to better outcomes,” Andreasen says. True operational excellence requires great leadership. 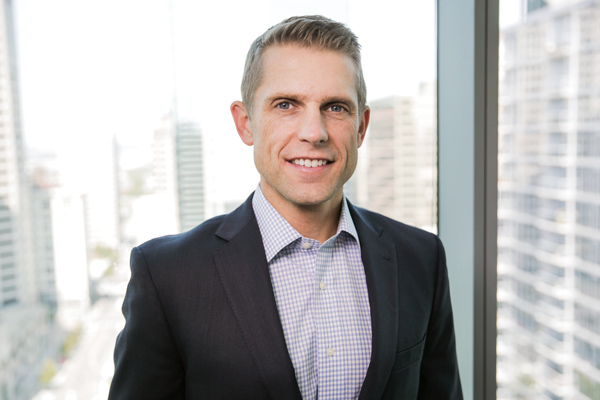 To that end, Andreasen’s leadership style focuses on collaboration and professional development, which he says comes naturally at H&R Block. “I am tremendously fortunate to be surrounded by truly excellent people, including a general counsel who has served as an outstanding mentor and my team of legal professionals who bring quality and enthusiasm to everything they do,” he notes. Andreasen’s goal in his role at H&R Block is to help establish a culture of excellence, in which “expectations of quality are set very high and there is accountability for employees at all levels,” both internally with its staff and externally with its products and services. Central to this culture of excellence is being proactive rather than reactive. “It’s far better to be out in front of things, anticipating issues and thinking ahead, rather than spending time each day playing catch up,” Andreasen says. This strong culture is also reflected by the everyday operations at the company, from the clarity of internal communications to the accuracy of documentation, all the way to whether there is an expectation of punctuality for meetings. While it is important to get the basics of operational excellence down, Andreasen also notes the importance of “a culture of substantive excellence.” He believes there are many ways to express this. For instance, it can be seen in a team that analyzes an issue with especially rigorous depth—“whether they have truly drilled all the way to bedrock to arrive at the most optimal outcome”—or evincing a particularly strong level of innovative, creative thinking. Andreasen believes that companies can achieve excellence when they “purposefully create an atmosphere in which people can thrive in their own personal and professional development.” When people strive for excellence on an individual basis, he says, they inevitably drive excellence on a company-wide basis as well. That pursuit of the bigger questions—that intellectual curiosity—has helped Andreasen drive operational excellence both personally and company-wide. For Andreasen, his work in crafting a culture of excellence involves “driving an unspoken expectation of quality work product, substantive expertise, and company-wide professionalism.” That constant drive to improve is helping to make H&R Block the most effective, ethically minded, and excellent company it can be.